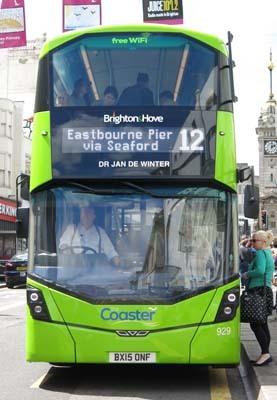 Connections with Brighton and Hove : Dr Jan de Winter was a pioneering cancer specialist who worked for many years in Brighton. Based at the Royal Sussex County Hospital, he was always held in the highest regard and with much affection by both his staff and patients alike for his unfailing compassion, caring nature and dedication. In 1967 he founded Copper Cliff Nursing Home in Westdene, a predecessor of the Martlets Hospice in Hove which provides excellent much needed care and support for people with terminal illnesses as well as support for their families. He also introduced the first whole body CT scanner in Europe to the hospital in 1976. Dr de Winter was also responsible for opening the first free walk-in cancer prevention clinic in Britain at New Road, Brighton. The clinic was ahead of its time in seeking to prevent cancer as well as curing it. He paid attention to factors such as diet and exercise. Born in Prague, he came to England to perfect his English and worked in London hospitals before spending 30 years in Brighton. He lived at Westdean near Seaford and died in 2008 aged 94. 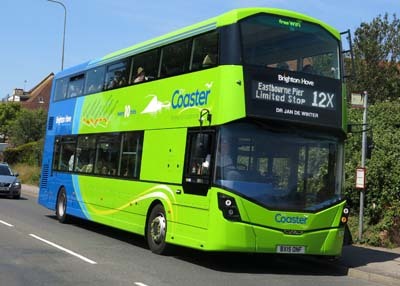 929 Mercedes Streetdeck - carried name since delivery in April 2015 on Coaster Route 12.